They say money matters matter, and so children and youth need to receive the necessary knowledge and develop the required skills to make smart financial decisions in life. 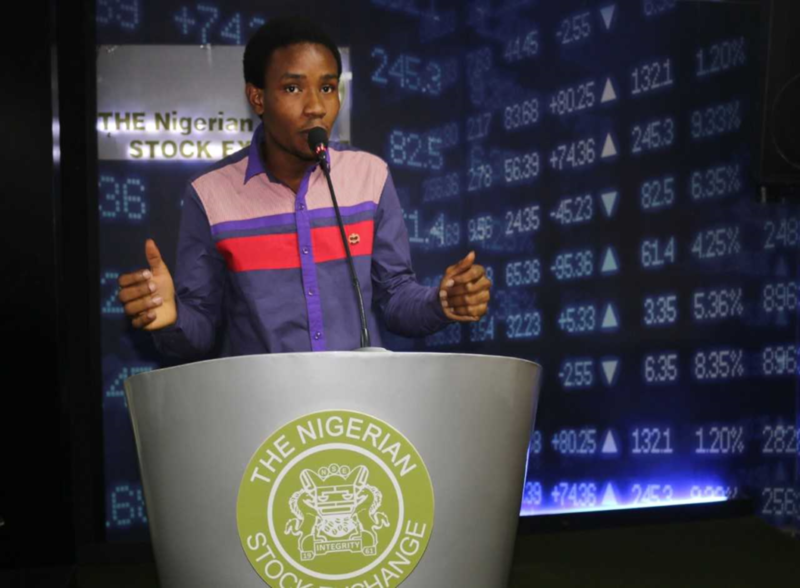 This was why children and youths from the SOS Children’s Village Programme Isolo, Lagos were led on a visit to the Nigerian Stock Exchange, to commemorate the Global Money Week 2018. Speaking after the visit, Ifeanyi Chukwu Paul (pictured above) said he learnt about savings, investment in shares as well as how to become a stock broker. Off Thomas Sankara Street, Asokoro. This is to notify the public that SOS Children’s Villages Nigeria has relocated its National Office from 18, CHURCH STREET, OFF SALVATION ROAD, OPEBI-IKEJA, LAGOS to 29B HAILLE SALASSIE STREET, OFF THOMAS SANKARA STREET, ASOKORO, ABUJA. To reach us directly in Lagos, please contact our National Branch Office at 153 MUSHIN ROAD, AFTER LAGOS STATE POLYTECHNIC, ISOLO, LAGOS. Postal Address is P.O Box 660, Somolu, Lagos. All other information and contact channels for SOS Children’s Villages Nigeria remain the same.